Peterborough City Council has approved and implemented a new way of delivering library services in Peterborough. 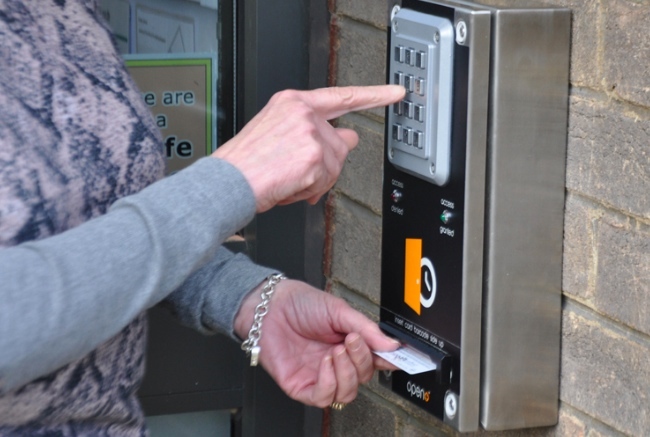 It sees all ten libraries stay open and for longer using self-service technology called Open+, produced by Bibliotheca UK. The new model was developed by the city council and Vivacity using feedback received during a first round of consultation last summer, where the public identified the following three areas as important: books on the shelves, location and access to information. Users were also asked what factors would encourage more use of the library service, with accessing the library building outside normal hours receiving the highest response. A second consultation, which concluded in March 2015, presented the council’s preferred model for Peterborough’s libraries, Open+. It was approved by the public and members of the council. Under the new model, the public can now access their libraries for 375 hours per week as opposed to 261 under the old model, through Open+ technology, that is an increases of 114 hours a week. The mobile library service and at-home service run by volunteers continue without change. The new model has resulted in a reduction in staffed hours from the 261 to 149. Staffed hours have now been matched, where possible, to when activities are taking place such as rhyme time and reading groups. The council believes that the model that has been implemented offers people an enhanced service, without the council having to close any of the libraries. At a time when many other councils are having to close libraries, we are delighted that we have managed to develop a service that meets the needs of our residents whilst making the saving that we have to in order to continue meeting the needs of the whole city. Under the new model, individual libraries are open for a set number of staffed and self-service hours each week. For example, Central Library, which was open for 40 hours a week, is now open for a total of 55.5 hours - 33 of which are staffed and 22.5 using Open+ and assistants. Open+ is free to join and existing library members are invited to opt-in. Customers that are Open+ members are able to borrow books and other library materials, use library computers, and take part in existing activities such as reading groups, knit and natter, story time and rhyme time and set up new groups to meet within the libraries. Open+ technology can automatically control and monitor building access, self-service kiosks, public access computers, lighting, alarms, public announcements and customer safety. There was a one-off cost of £170,000 to introduce the technology to all ten libraries, with an ongoing cost of £10,000 per annum. The library service cost £1.52million to deliver before the new model was introduced, the new model has saved the council £305,000 a year and safeguard Peterborough’s libraries for the future. Having future-proofed our service, Open+ has enabled all of our libraries to remain open, offer longer opening hours and successfully overcome the challenge of transformation in times of austerity. Peterborough’s libraries look forward to embracing more community-wide innovative use of the library buildings to create multi-user sites and we invite any library authority that would like to see our system in action to get in touch and try it out. The readers of this blog might be interested to know that on World Book Day children (and adults) in Barnet held a protest against proposals to introduce 'open+' into their libraries. It wasn't just about concerns re loss of staff & safety/security it was also about the fact that as unaccompanied/independent young people they will be denied access. This not only goes against the public library ethos & mission but also surely contradicts the 'comprehensive' aspect of 64Act? The Act also states a legal duty "encouraging...children to make full use of the library service, and of providing advice as to its use"! This is all being sold by the vendor and councils as 'innovative' when it's really to do with cuts, it's a disgrace and should be opposed by everyone who truly supports libraries.